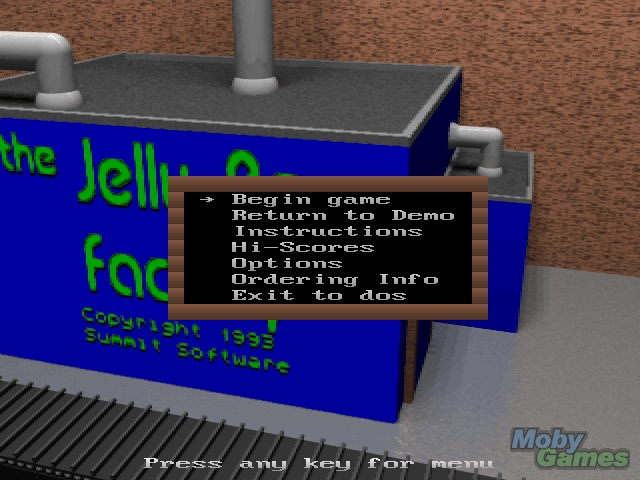 The Jelly Bean Factory is a single-player, shareware falling block game. 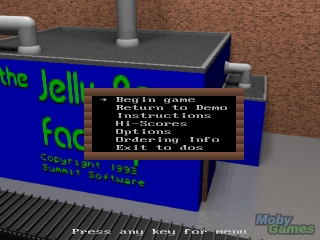 Coloured blocks, or jelly beans fall from the top of the screen. 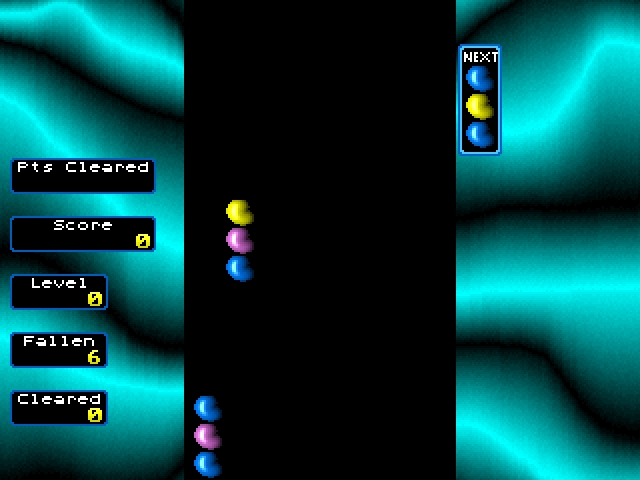 Each bean has three coloured balls in it and the player must position them so that when they hit the bottom of the screen they make rows of three or more of the same colour. 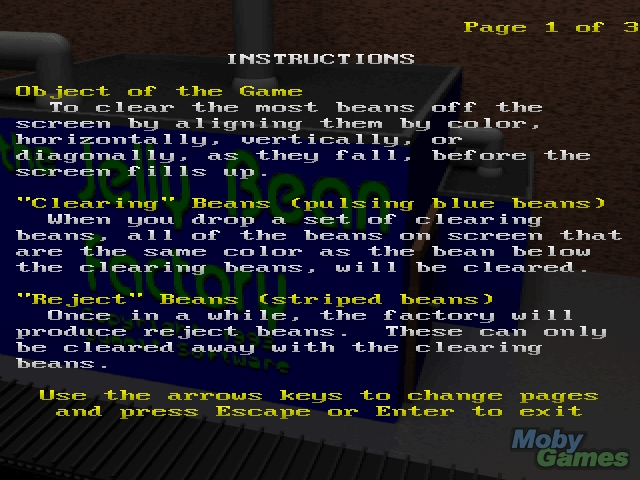 The colour sequence of each bean can be altered as it falls, there are reject beans that are hard to remove and there are clearing beans that remove all beans that match the first colour they make contact with. 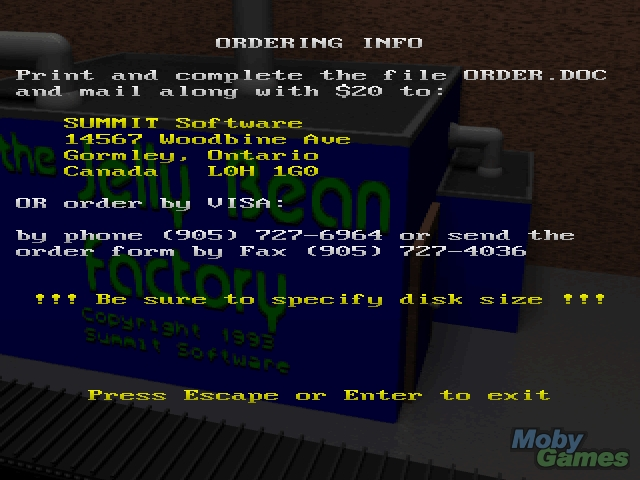 The game is controlled either by the keyboard or by a keyboard/joystick combination. 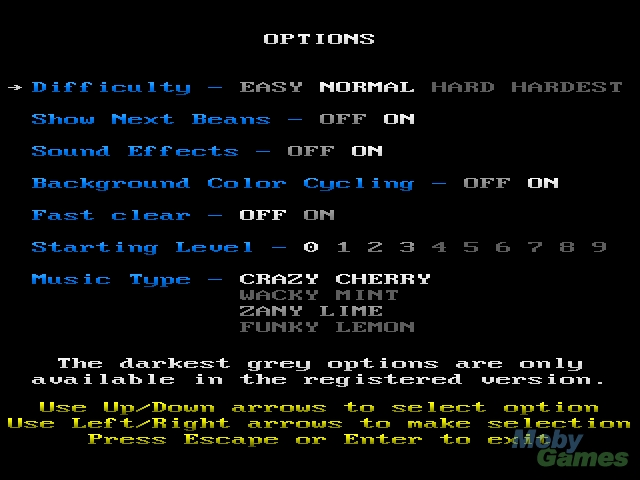 It has optional sound, a high score table, four levels of difficulty, nine levels, and other customizable options.